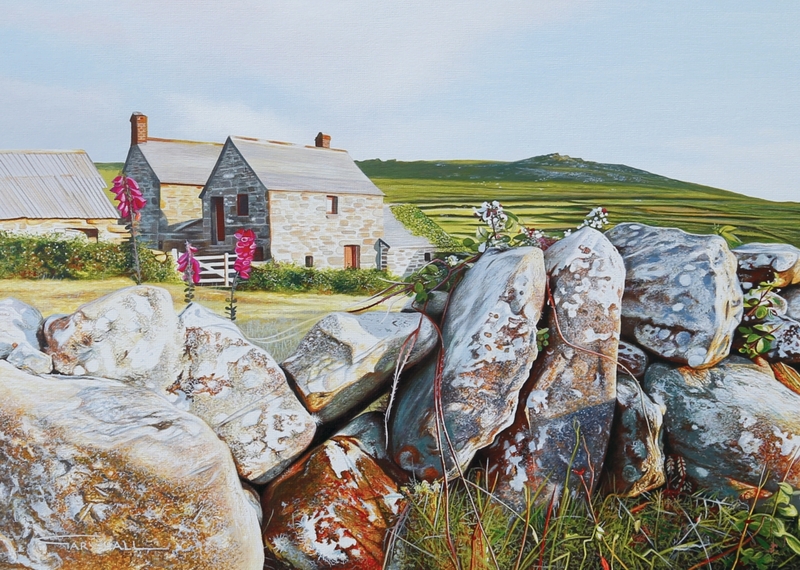 “Towards Carn Gulver, Porthmeor” is an Acrylic on Canvas painting. Porthmeor is on the North coast of Cornwall in an area called West Penwith. West Penwith is one of my favourite regions to paint, there is so much unspoilt beauty there, from high moorlands to cliffs & beaches, in between you have remnants of ancient stone circles, standing stones, Fogou’s, Holy Wells & field systems that date back to Bronze Age farmsteads. These field systems are bounded by amazing stone walls, all very individual and covered with Mosses & Lichens. 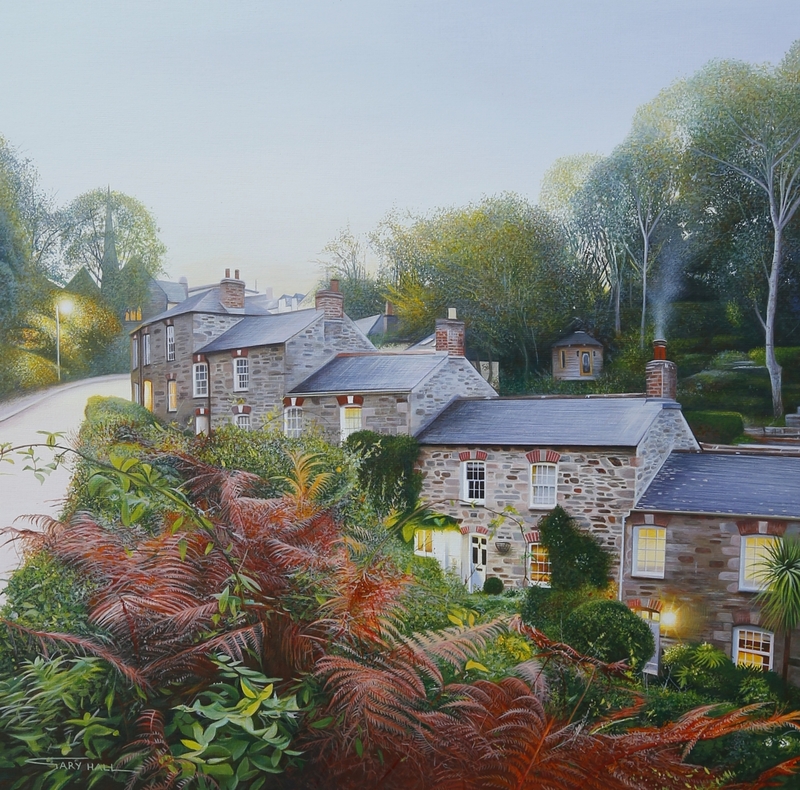 Porthmeor is one such area within West Penwith, it includes many farmsteads including this one, one I have painted many times as I just love its location, being only a mile or so from the Sea. This was an evening in June as the sun was setting & cast its glow on the surrounding hills & farmstead. 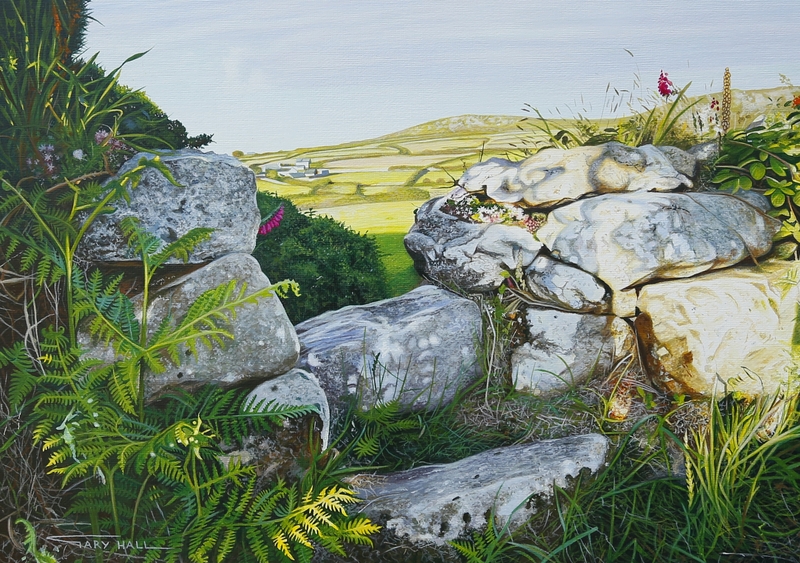 Be the first to review ““Towards Carn Gulver, Porthmeor”” Click here to cancel reply.